Mysterious Distance: Nick Stewart describes how he signed U2 to their first major deal. Nick Stewart describes how he signed U2 to their first major deal. In North Side Story, the exclusive book commissioned from Hot Press for U2.com's 2014 subscribers, Nick Stewart describes how he signed U2 to their first major deal. Now running his own music consultancy, we asked Nick to come up with the 15 tracks he'd always want to keep on his U2 Playlist . It was a pretty wild and woolly night in Dublin, when I first saw U2 on their home turf in January 1980. The National Stadium, used for boxing in the normal course of things, was packed; when the band came out, the stage was stormed and Bono was briefly submerged under a crowd of frenzied fans. Order was restored. The Edge kicked hard into the opening chords of 11 O’Clock Tick Tock. I can see it and hear it 34 years later, as if it was yesterday. I wasn’t sure what I was watching or just how big it could be, but I sensed it was destined to become significant. It certainly thrilled me. The song was then recorded by Martin Hannett (Joy Division, A Certain Ratio & The Durutti Column) at Strawberry Studios in Manchester and became the bands’ first single on Island. I always thought this had to be a hit in 1980 when it first came out. 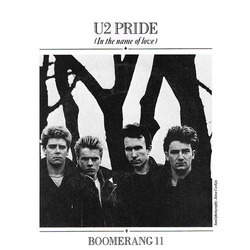 It had a lot of the early U2 trademarks – soaring vocal, powerful guitar, pounding rhythm section and bags of energy. While it received some radio play and press support, it failed to enter the charts, but remains a favourite at concerts. The choice of Brian Eno as producer for this album had raised a few eyebrows in Island Records, but an extraordinary and groundbreaking album emerged and took U2 to a new level. Overlaid with a new aural landscape of mystery and imagination, Eno combined with the band to produce a new sophistication of writing and playing matched by the drama and power of Bono’s vocals. The gamechanger. 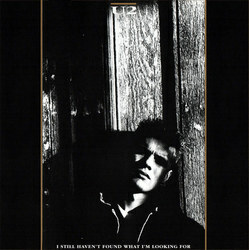 For my money, not only one of U2's greatest singles, but one of the great vocal performances on a single of all time. After this, nothing seemed to be the same again. Bono had joined the ranks of Cocker, Stewart, Daltrey and Plant as a pre-eminent rock vocalist. The opening track of The Joshua Tree begins with a mood synth, slowly building over the first forty-five seconds, as The Edge's pounding rhythm guitar starts to creep in. At 1'10", Adam's bass line propels the track to a new level alongside The Edge’s driving guitar work. 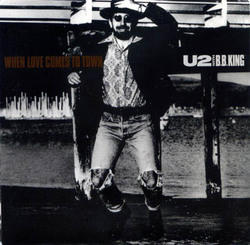 At 1'47" – most singles are more than halfway through at this point – Bono bursts in with "I want to run, I want to hide" and we’re off on the whirlwind journey that was to be the enormous success of The Joshua Tree. One of the greatest opening tracks to any album, ever. With The Joshua Tree, U2 became the first act to sell 1 million CD’s and with this track, and of course, the rest of the album, they conquered the world. The album was brim full of great tunes, fabulous ideas and swept all before them. 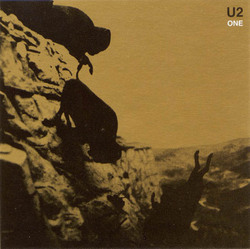 The Joshua Tree rightly stands as one of the great rock albums of all time. I’ve always admired the way the band forge alliances with great artists. There’s nothing remarkable about this track, but I just love the interplay of the vocals from Bono and BB King and then the guitar playing of BB King and The Edge. Achtung Baby was famously described as the sound of four men chopping down The Joshua Tree; this was the sound of the crash as it fell to the ground. The Berlin location - the record was made as the wall was coming down - unleashed some fiery 'wild horses' all over this timeless album. See 'From The Sky Down', the documentary made for the reissue of Achtung Baby in September 2011, for a fascinating peek behind the making of the album. If there was ever such a thing as a grungy ballad, this would qualify as a prime example. It’s not what one expects, which makes it all the more mysterious. Destined to become a timeless classic and a staple of Valentine-themed CD’s. A sepulchral organ begins the final track on Achtung Baby and all is despair and darkness. The Edge’s guitar, jags and quivers its way through the track, in a way unheard before or since. One of the great gems of their catalogue. Bono said it had to be Johnny Cash singing this song. 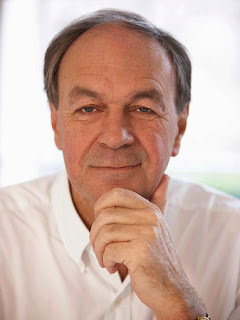 He was right as J C's haunting delivery gave it terrific resonance. As a result it remains one of the great works in U2’s canon, because everything about it is perfect and is one of my favourite U2 tracks of all time, as Cash is a particular hero of mine. 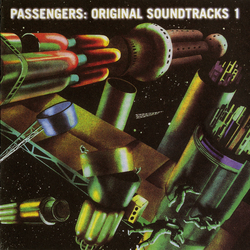 The Passengers album remains the great unrecognised album from U2 as it contains so many extraordinary, largely unheard moments. This magisterial track, however, was heard all over the world. 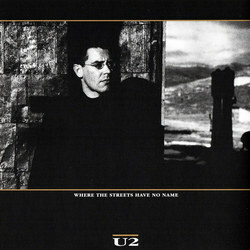 Bono’s gentle soft vocals give no real clue of the drama to come. When LP makes his entrance the sound is liable to make strong men weep and is, along with The Wanderer, another exceptional collaboration. Gorgeous song, gorgeous production, gorgeous record along with "Pride" their greatest single. Rightly, this stops traffic and gets radio's turned up. I've always believed this song to be about Bono losing his father and it's one of the most heart-wrenching songs the band ever recorded. It would certainly be my U2 Desert Island Disc and the one track I always refer people to, to prove the power and the magic of the bands songwriting and playing. 'Atomic Bomb' is a much underrated U2 album and I love the atmospheric and all-embracing sound of this track. It's the stand out track on an album I play as often as any other.